The best tips for planting and growing strawberry plants when home gardening. 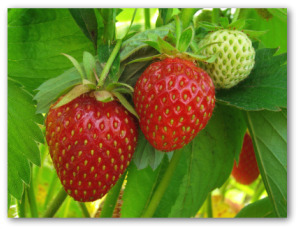 Learn how to plant, and care for strawberry plants an your backyard garden. Perennials do not live forever but some can be very long-lived if cared for properly. In vegetable gardening, asparagus may be productive for thirty years while strawberries are effectively perennial, but in practical terms may need replacing every third or fourth year to ensure a bountiful harvest. 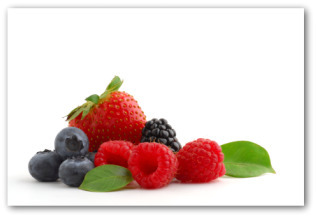 Berries require enriched, moist, well-drained soil and most will tolerate light shade. However, full sun is best. 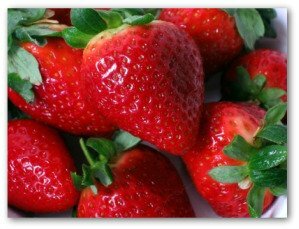 Strawberries are quite tender, but since they are low growing, they can be grown in fairly cold climates with a mulch and protection against snow. The plants love pine needle mulches. Mulching with pine needles discourages slugs and improves the flavor of the fruit while inhibiting weeds. The first wild strawberry plants I ever picked were growing under the pine trees on the edge of our school yard. They had little bitty strawberries, but they were delicious! It's ideal to have an area entirely devoted to growing strawberry plants. However if you are limited for space, strawberries can be companion planted with some of the vegetables in your garden. When companion planting, any bean, especially French beans, spinach, lettuce, and borage grow well with strawberries. Brassicas, such as cabbage, cauliflower, and broccoli, do poorly planted near the strawberry patch. The strawberry plants grow well at the base of peach trees but not directly under them. The alpine variety is a good companion plant anywhere. Lavish some extra effort on preparing your new strawberry patch and you will be richly rewarded with years of bountiful harvests. Till or dig the prospective patch, one year prior to planting strawberry plants. When establishing a new bed, grow a crop of soybeans first and dig them into the soil while they are green to prevent root rots on the new plants.This preparation will also help suppress pests, weeds, and build organic matter in the soil. A good spot for growing strawberries in your existing vegetable garden is where carrots have previously grown.However, any well-fertilized and weed free area will suffice. 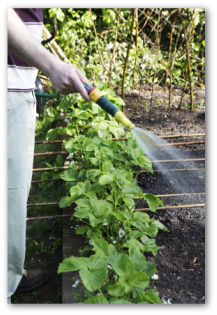 Make certain to remove all of the perennial weeds before planting strawberries. Weeds are the number one problem when growing the berries. 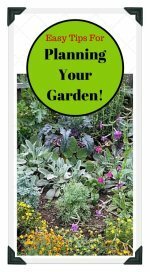 Add well aged-manure, compost and other organic material to the soil. This will make weed removal easier, and will help the soil retain moisture as well. Avid growers recommend spreading out your harvest by planting an early-season berry such as ‘Earliglow', a mid-season strawberry like ‘Jewel', and a late-season berry such as ‘Blomidon'. Strawberries can be planted in the spring as soon as the ground is dry enough to be worked. Depending on the area where you live, this can be March, April, or May. 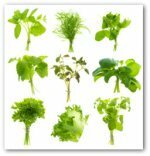 You want to plant as early as possible, so the plants can be well-established before the arrival of hot summer weather. It is best to plant the strawberry plants in the evening or on a cloudy day, as it is less stressful for them than dealing with sunshine at that time. Depending on the size of your transplants, dig a hole that will allow you to plant the strawberry so that the soil just covers the tops of the root. If the crown is planted too low, and is covered with soil, it will be prone to disease or rotting. If the crown is too high, the roots will dry. So like Mama Bear, it is best to plant the strawberry "just right" with the soil "level" or "even" with the crown of the plant. Pick off all the flowers from your newly planted strawberry plants. You will not get any fruit the first season but this helps the plants become established. They will produce far more fruit the following years than they would if you did not pick off the blooms at the start. 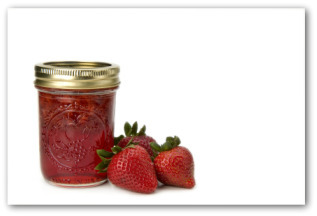 Once the season's strawberry harvest has ended, it is time to give next year's crop a boost. Mow off the tops leaving an inch or so of leafstalk to protect the crowns. It is important not to injure the crowns because that can kill or at least stunt the plants. Get rid of the leaves from the bed to remove any diseased material or insects that may be present. Compost the trimmings well away from the strawberry patch. Take away the runners that have rooted on either side of the rows until the remaining rows are no wider than 2 feet. This will give you better fruit because it gives you more row edges, which is where the best fruit is borne. Removing the runners also encourages good air circulation, which helps prevent plant diseases. Your diligence in weeding is the most important determining factor of the length of the bed‘s production. With proper care, you can get seven or more good years out of a strawberry patch. The original mother plants are the best producers. Last but not least, spread one inch of compost over the strawberries. Not only does this feed the plants, it keeps the crowns in proper position.